I just watched the Amazing Race, where they traveled through Peru, and it reminded me of how much I like to grow potatoes. 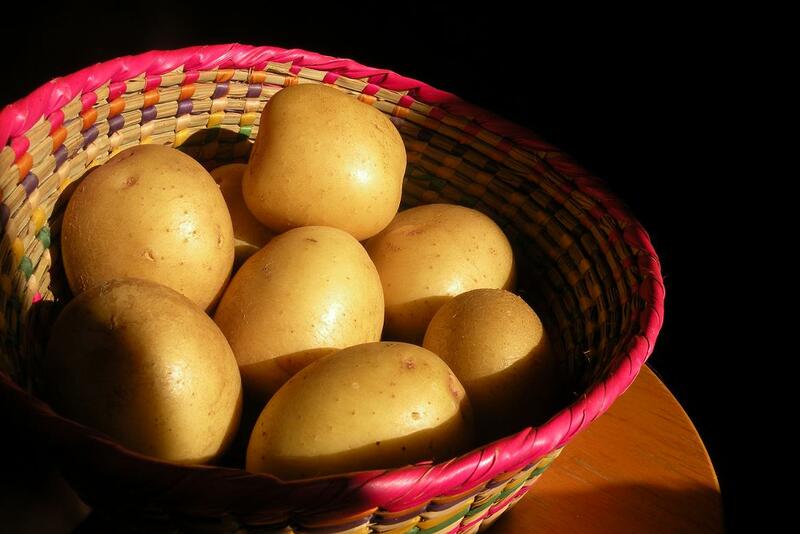 Compared to potatoes, most other staples can be laborious to get from the ground to your dinner plate. Wheat, for example, takes a lot of work to dry and thresh and grind into flour unless you have machinery. Potatoes, on the other hand, can nearly grow without you paying attention, and harvesting them is fun like digging for treasure. 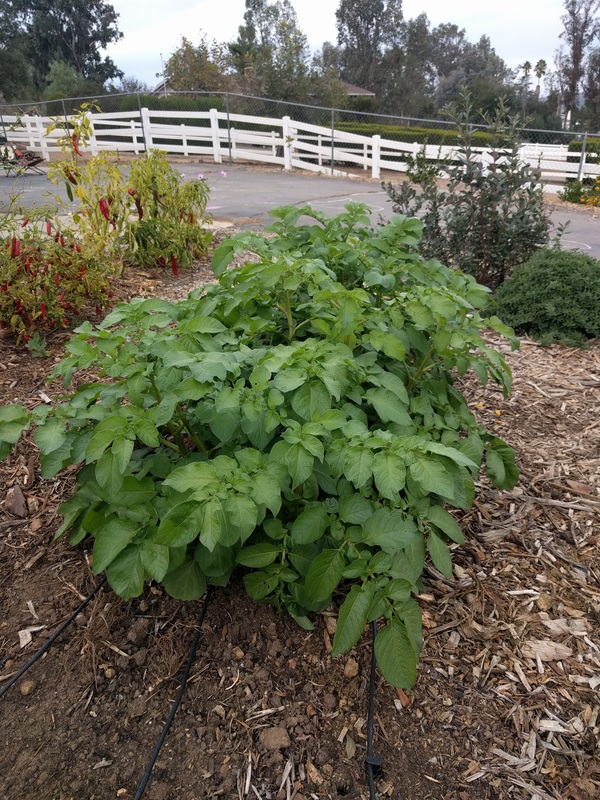 What follows are my personal notes on what I’ve learned about when and how to grow potatoes in Southern California, after having grown them for many years in different yards in the region. While I’ve certainly gotten good crops out of planting in August, I’ve gotten consistently better crops from February, for a couple reasons. Growing from February takes advantage of the rainy season, so less watering is necessary. 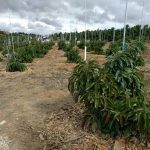 February planting also requires less attention to the plants generally. For example, my last August crop suffered from spider mites because I used drip irrigation and there was no rain to wash the foliage off and I failed to bring the hose out to give the plants a shower frequently (mites infest dry, dusty foliage). The only disadvantage in my yard of growing potatoes in February is that the earwig population tends to explode around April, and they munch the potato plant leaves. But yields don’t seem to suffer since the plants are big enough by then to cope with it. Many sources claim it’s vital to use seed potatoes that are certified disease-free, but for so long I’ve grown some of those alongside seed potatoes that I bought from the grocery store that were intended to be eaten, as well as seed potatoes taken from a previous harvest of my own. And I’ve never noticed a significant difference in plant performance, disease, or tuber yield. “Seed” potato originally from the grocery store. I’ve also found the claim of needing to chit, or pre-sprout, the eyes on the seed potatoes overemphasized. When I plant a seed potato with eyes a half-inch long compared to a seed potato with eyes that haven’t sprouted, they both grow well. The seed potato with half-inch eyes just emerges faster, that’s all. Many times, I’ve had good results planting potatoes in August right at the base of recently harvested corn. This has become a regular rotation in my garden. 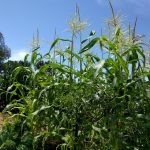 In the spring, I plant corn one foot apart, and then in August after the corn harvest, I plant a potato at the base of each corn stalk — so, also one foot apart. The results have always been good. Potatoes seem to like following corn. When planting, you only need to bury the seed potatoes so their eyes are covered. It’s not necessary to bury them any deeper. I used to bury them deeper, but it never improved yields and it only made me dig deeper to harvest the potatoes. I now usually plant the potatoes so there’s about two inches of dirt covering them. Now you see them . . .
. . . now you don’t. You’ll notice that I don’t cut up my seed potatoes either, as is often suggested. Mostly, I don’t do it because it’s more work, but also the plants seem more vigorous when they come from whole potatoes. That’s my sense, anyway. I’ve never kept careful track of it. 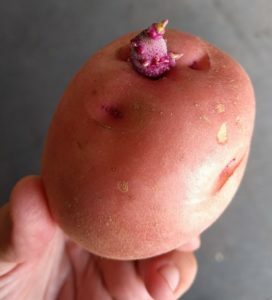 Until plants emerge, the soil around the seed potatoes only needs to be slightly moist. In other words, don’t keep it saturated. I’ve made that mistake in the past and rotted the seed potatoes. 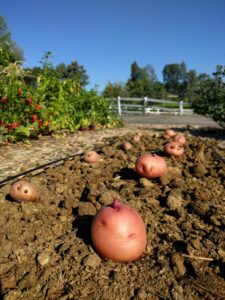 Over the course of the plants’ three to four months of life, it’s usually necessary to hill up a little dirt or mulch around the base because the potatoes develop there and you don’t want them to be exposed to the sun. 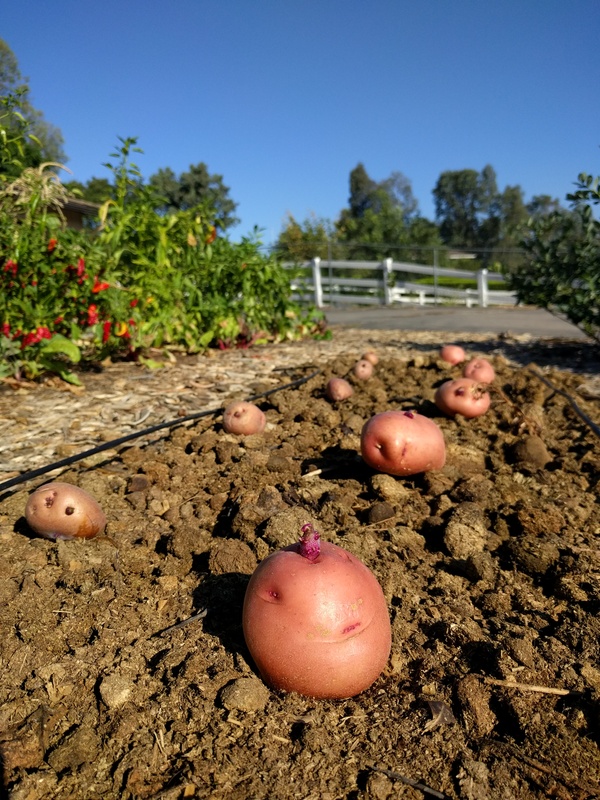 If the potatoes are exposed to the sun, they turn green and toxic. 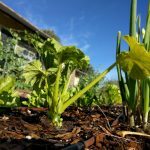 I usually heap up some dirt or mulch on them twice — once when the plants are around six inches tall, and then again when the plants are about a foot tall. If I see a tuber showing at the base of a plant at any time, I’ll cover it immediately. Potato plants about two months after planting. These are the plants that grew from the red seed potatoes above. These days I use in-line drip emitter tubing where the emitters put out 0.5 gallons per hour and are spaced one foot apart. I plant each seed potato one foot apart so there’s one emitter per plant. At first, I wasn’t sure this would saturate a big enough area in my sandy loam soil, but it works just fine. 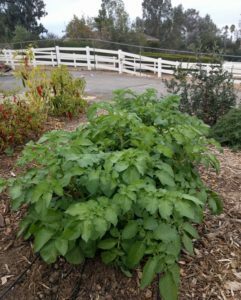 While small, potato plants don’t need much water. But once the plants are about a foot tall, I give them approximately as much as my local evapotranspiration rate; in other words, about as much as most other vegetable plants. 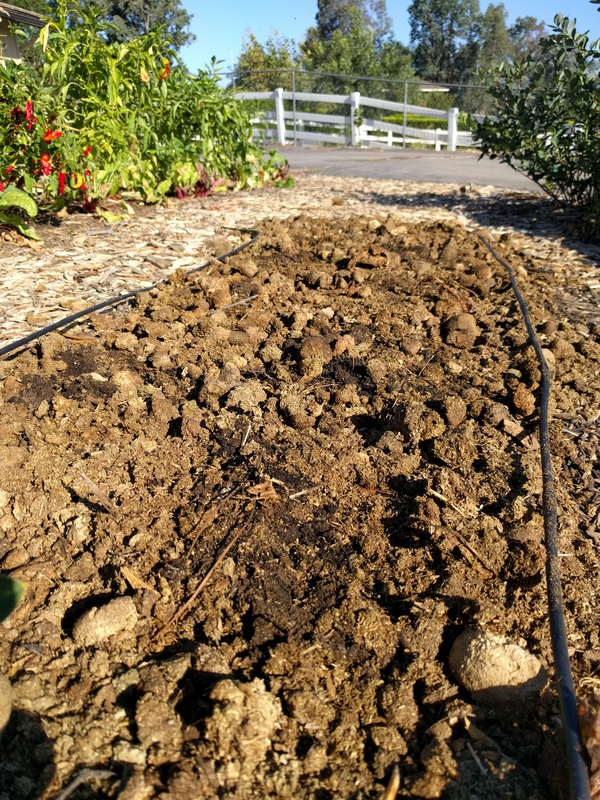 At the beginning of each of my drip lines I have a shut-off valve so I can quit watering the whole row of potatoes once the plants are full sized and the leaves are starting to yellow. (Sometimes, potato plants flower before their foliage begins to yellow.) That’s the indicator for harvest time: the potato plant foliage starts dying. Harvesting is easier when you can dry out the soil around the potatoes for at least a week or two prior. The tubers then pop out of the dirt very cleanly — no cakey mud on them that needs to be scrubbed off. In mid-December, 2015, the foliage of my potato plants were damaged by frost, but I waited to harvest until December 29. The tubers were all perfect, as if they were just being stored in the soil. However, once the plant foliage is significantly damaged by frost, the potato tubers aren’t going to grow any larger. 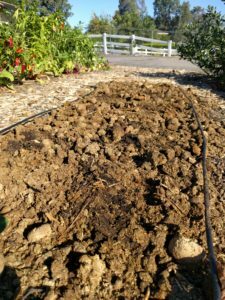 The lesson is that for fall potatoes you need to get the plants going in August or early September so they have enough time to grow and mature tubers before a cold December night. Thank you for the guide. Clear and to the point. Thanks, Evan. I just added a few photos from this year (2017) that will hopefully make things even clearer. Nice article! Wish it included some thought on the soil that is very clay I live in Southern California but close to the mountains in about 4,000 for elevation. 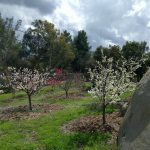 Wish I had sandy loan soil – and NO GOPHERS! This year though we are growing in grow bags which I’ve done before with great success! On the other hand, the clay soil is a condition in which I’ve never grown potatoes. But I know people who have, and they say that they get best results by planting on mounds (to increase drainage) and/or NOT planting the seed potatoes deeply. 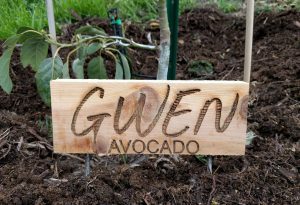 They just settle them into the soil surface and then mulch on top with straw or wood chips. Seems like both practices are achieving what the grow bag would too. I would think that you’d have to be extra careful not to overwater and rot the seed potatoes in clay soil also. Does that align with your experience?